•	Child Custody—When parents divorce, child custody can become a primary focal point of any settlement. We understand the law, can communicate your situation clearly to the judge, and help you preserve your most treasured relationships. •	Child Support—The laws about child support are rigid and specific. We will help you understand the laws and make certain your children get the support they need. •	Spousal Support or Alimony—Our attorneys know the rules regarding spousal support and will assist you in determining a fair settlement. •	Final Divorce Settlements—In addition to issues with spousal support and care and custody of children, property also needs to be divided and settled between divorcing couples. You should never agree to anything is writing without consulting an attorney; we will make sure your agreement is enforceable, easy to understand, and fair. The experienced divorce attorneys at Ortega Law, LLC, have successfully represented clients in Baltimore, Anne Arundel, Harford, Howard, Prince George, and surrounding counties. 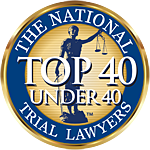 Joshua and Windy Ortega have experienced firsthand the unique policies, procedures, and judges in each of these jurisdictions, which helps them get the best possible results for their clients.